Ryan Bader made history Saturday night when he knocked out MMA legend ‘The Last Emperor’ Fedor Emelianenko in 35-seconds to win the Heavyweight Grand Prix and become the new Bellator heavyweight champion. 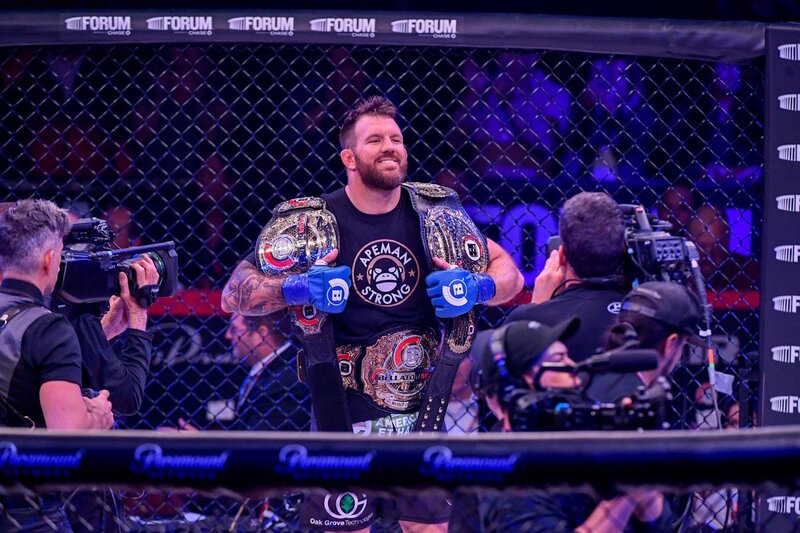 With the win, Bader added two championships to his collection; he became won the vacant heavyweight championship and was awarded a second championship for winning the Grand Prix, improving his Bellator championship collection to three. Bader came into the tournament as the reigning Bellator light-heavyweight champion and didn’t seem to have any problems fighting in a heavier weight-class. In fact, he looked much better and stronger without fighting at his natural weight than he does when cutting down to 205lbs. Bader was dominant in all three of his Grand Prix fights; he knocked out King Mo in 17-seconds, defeated Matt Mitrione in the semi-finals by dominant unanimous decision, and knocked out Fedor in 35-seconds of the first round to become a two-division champion in Bellator. Bader now has to decide on which title he’ll defend and which title he’ll chose to vacate. Even though he expressed a desire to defend both, the promotion may be a against the idea because the light-heavyweight division had essentially been put on hold while Bader competed in the Grand Prix, so they may prefer to have an active champion in both the heavyweight and light-heavyweight division. The co-main event saw Henry Corrales knockout rising star Aaron Pico at 1:07 of the first round and made a case for himself to be considered a contender in Bellator’s featherweight division. At first it looked like Pico was going to defeated Corrales when he knocked him down however, Corrales was able to recover and use his experience to drop Pico with a vicious combination. Although it is a setback for Pico, he’s still young in the sport and will have an opportunity to redeem himself. Pico was able to bounce back from his debut in impressive fashion so this could be another loss that adds to his drive and development as an MMA fighter. The highly anticipated debut of Jake Hager, formerly Jack Swagger in the WWE, didn’t disappoint. WWE Smackdown superstar R-Truth accompanied Hager to the cage, even singing a portion of his entrance music. Hager immediately used his impressive wrestling background to takedown J.W. Kiser before landing some elbow strikes and finishing him with an arm triangle. Heading into this fight, many questioned whether the former WWE world heavyweight champion would be able to be successful in MMA. After the fight, Hager expressed his desire to continue fighting for Bellator and that his debut wasn’t just a one-and-done. 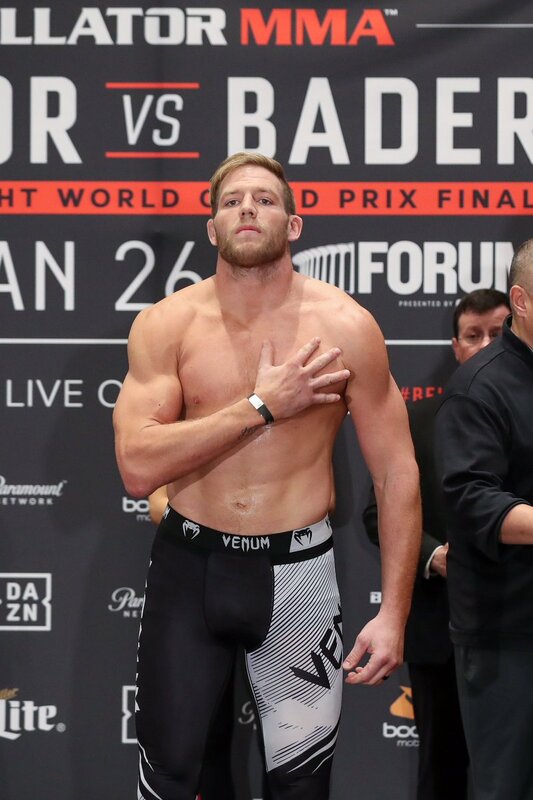 Now that Hager has one pro fight under his belt, it’ll be interesting to see how much he can improve as a fighter and whether he’ll have the same success in Bellator as Bobby Lashley, who went 5-0 in the promotion and led to many questioning why he wasn’t included in the Heavyweight Grand Prix.